The focus of the Yoga Youth Movements is bringing together the teachings of Yoga with facing the challenges of daily teenager life. The YYM presents the principles and techniques of yoga as an effective means for supporting teenagers in navigating the challenges of this tumultuous and transformational time in their lives. In addition, a regular yoga practice from a young age acts as a preventative medicine – We must start to rely on yoga versus medication as a means to perfect health. Through the practice of yoga teenagers are able to stabilize their mental and emotional state allowing them to develop personal worth, efficiency and regulation. With a gained sense of personal responsibility teenagers are able to increase personal qualities in their life such as Determination, Self-Control, Concentration, Patience, and Faith. These gained qualities will assist teenagers in embracing the world with a clear, confident, and calm sense of global peace. Yoga is an ancient form of exercise that focuses on the unification of body, mind and breath while practicing a variety of physical postures and movement sequences. 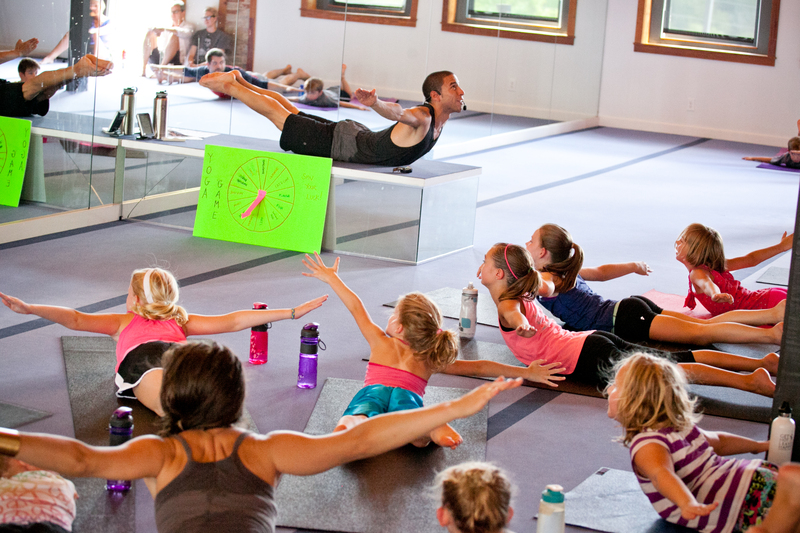 Yoga methodology provides proven tools for deepening and enhancing self-awareness, health, achievement, and well-being. As students learn how to move gracefully, breathe smoothly and deeply, and sustain their concentration, they simultaneously develop strength, flexibility, balance, mental clarity and emotional stability. The yoga process of linking or unifying thought, breath, and movement develops focus and an awareness of the fundamental interconnectedness of intention, action, and consequence. The cultivation of this kind of personal integration deepens one’s relationship to and respect for oneself, others, and life on all levels. For a youth class in your community, please contact Joseph by clicking the contact link above.